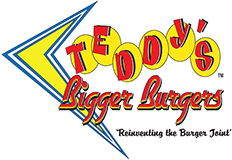 On April 15, 1998, Teddy and Rich opened the first Teddy’s Bigger Burgers in Honolulu, HI near Diamondhead. Since then, Teddy’s Bigger Burgers has opened 10 locations on Oahu, 1 on Maui, 3 in Washington, 1 in Iowa, 1 in Japan, and 1 in the Philippines. On November 1, 2014, brother-sister team, Bao Duong and Vivian Dinh, added another location in Fullerton, CA, the first location in California. Vivian has been to Hawaii many times and found Teddy’s Bigger Burgers on her travels. She knew that she wanted to start her own business and this was a dream come true. Vivian runs the day to day operations from the front and back of the house. Bao works behind the scenes, focusing on marketing and vendor relations. Both have a can-do attitude with the warmth of the aloha spirit in their ways. Yes, it’s burgers, but it’s not fast food. Everything is made to order just for you. When the food comes to the table, you’ll know it’s totally worth the time. The Teddy’s burgers and sandwiches are on a potato bun (you can also choose whole wheat or lettuce wrap) layered with Teddy’s homemade special sauce, green leaf lettuce, Claussen dill pickles, thinly shaven white sweet onion, fresh ripe tomatoes, Teddy’s Gourmet burger seasoning, and 100% ground chuck steer proprietary grind patty (choose from 5, 7, or 9 oz. size). Check out Teddy's Bigger Burgers and hang loose, brah!